Not only did Christmas NOT begin the day after Halloween, it didn’t end at midnight on December 25. Today is the sixth day of Christmas and I, for one, am not finished with this holiday. In church liturgy Christmas begins on December 25 and wraps up with Epiphany on January 6 when we celebrate the arrival of the wise men. In between there’s St. Stephen’s Day, St. John’s Day, the Feast of the Holy Innocents, New Year’s, and Twelfth Night. Who knew there was so much to celebrate? Not just at Christmas. Celebrating the birth of Christ shouldn’t be the end. It should be the beginning of launching a year in which we take Christ’s teachings as well as his commands to heart. The Twelve days of Christmas is an excellent time to take stock and make–not a New Year’s resolution–but a Holy resolution to follow that narrow road Jesus mentions in Matthew 7. Not the broad, easy road mind you. Rather the narrow footpath that looks so very precipitous. So there you have it. My word, my resolution, my epiphany for 2014. LOVE. God first, everyone else second. Seems like a good place to start. The church calendar is so complex–I’m just scratching the surface, but it’s sure interesting to learn. Do you know those munchkin wise men in the picture? 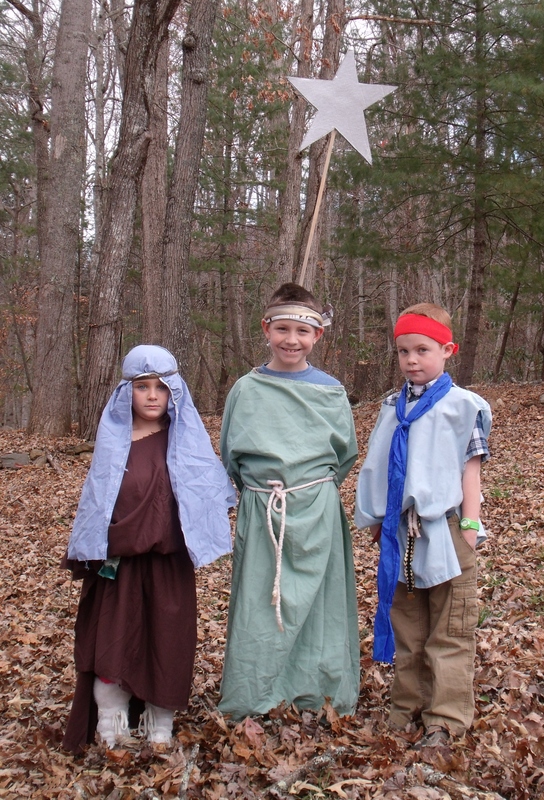 Yup–Christmas pageant from two years ago. A motley crew!